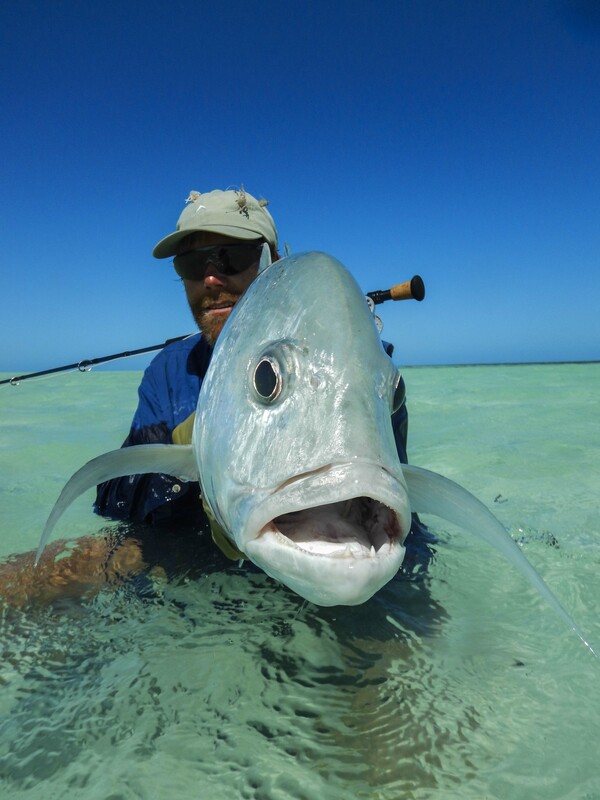 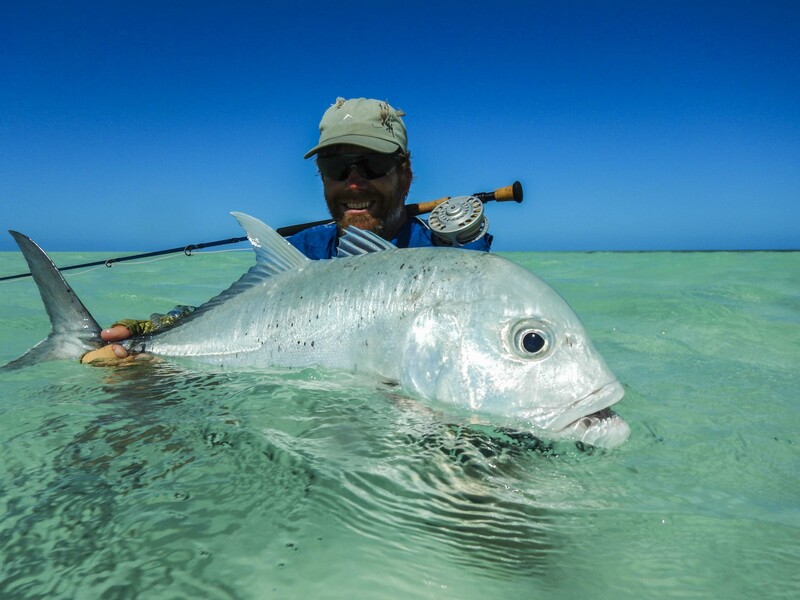 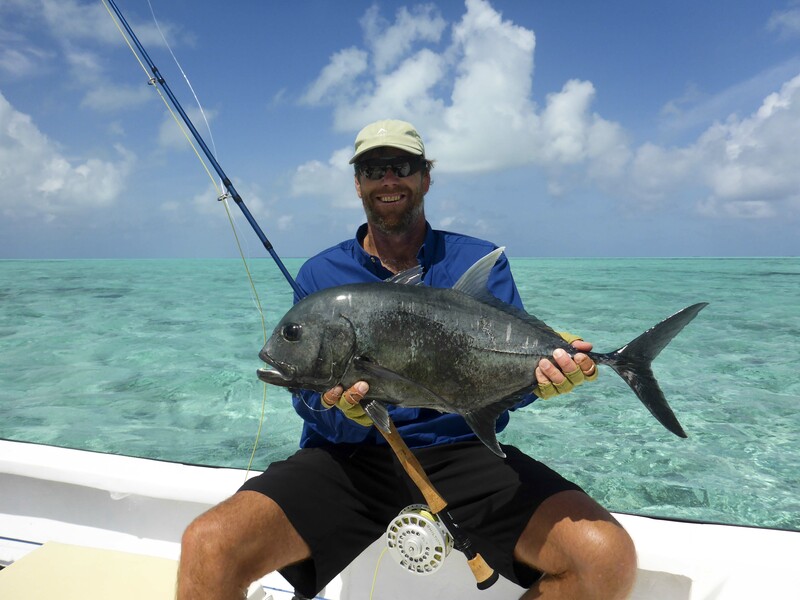 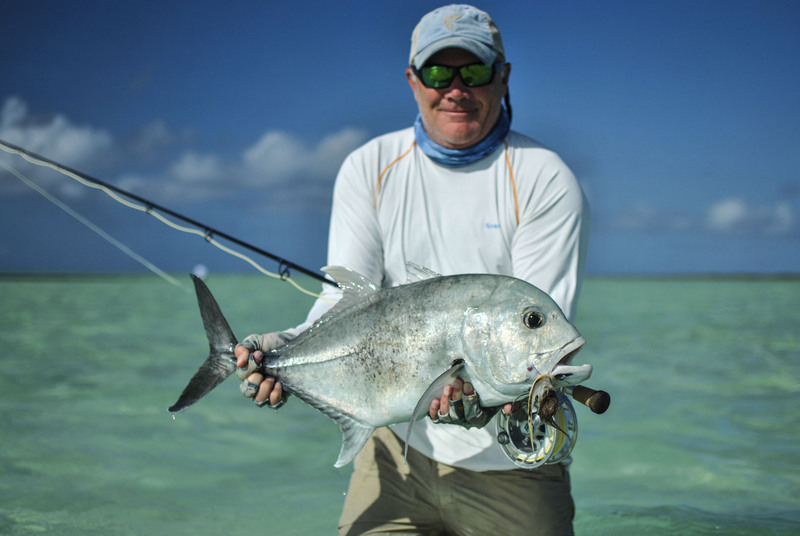 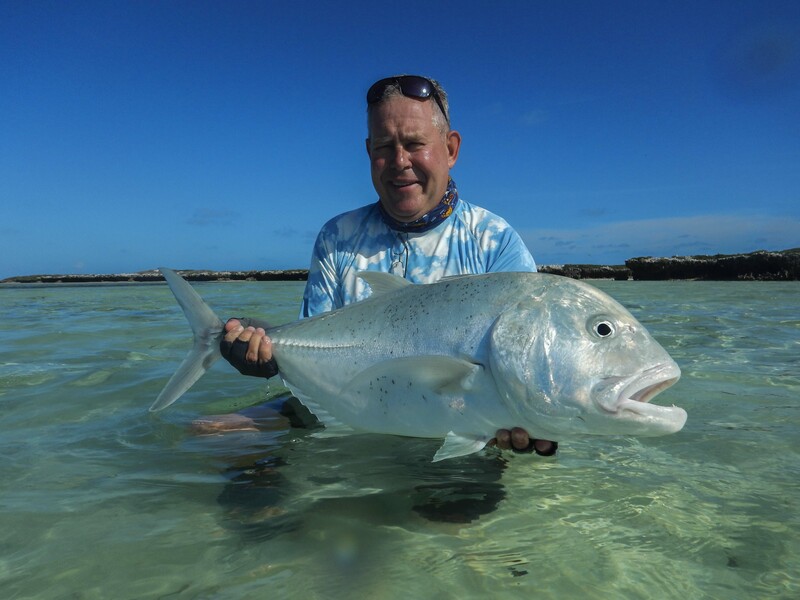 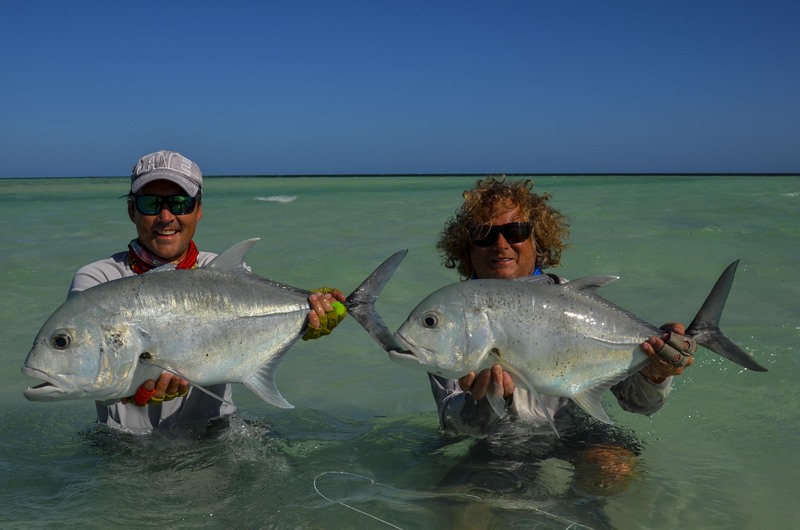 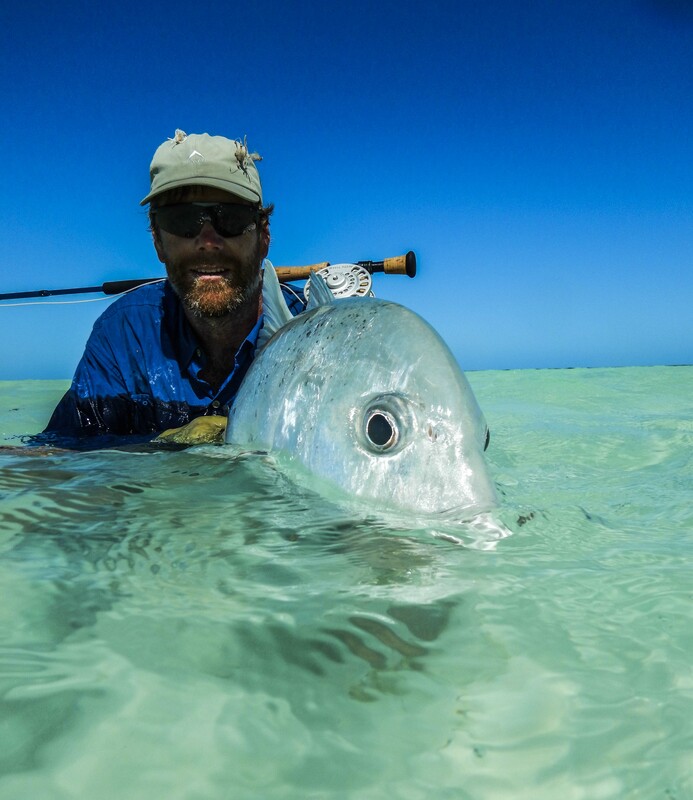 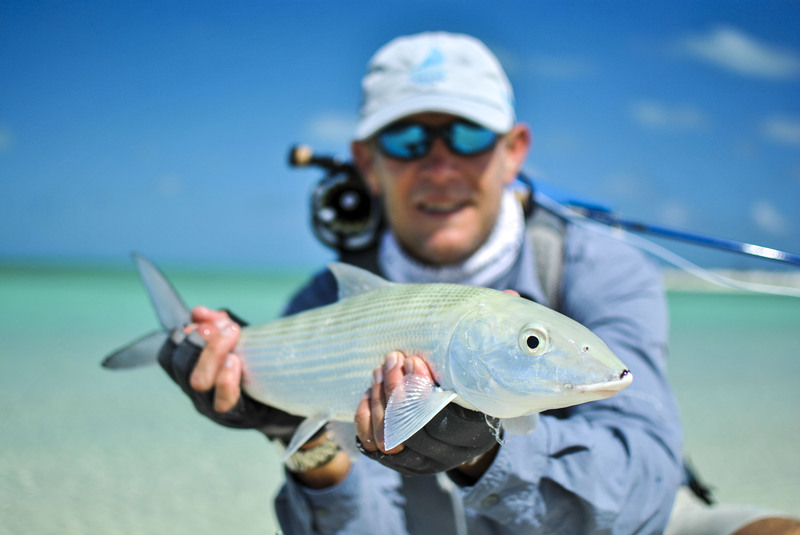 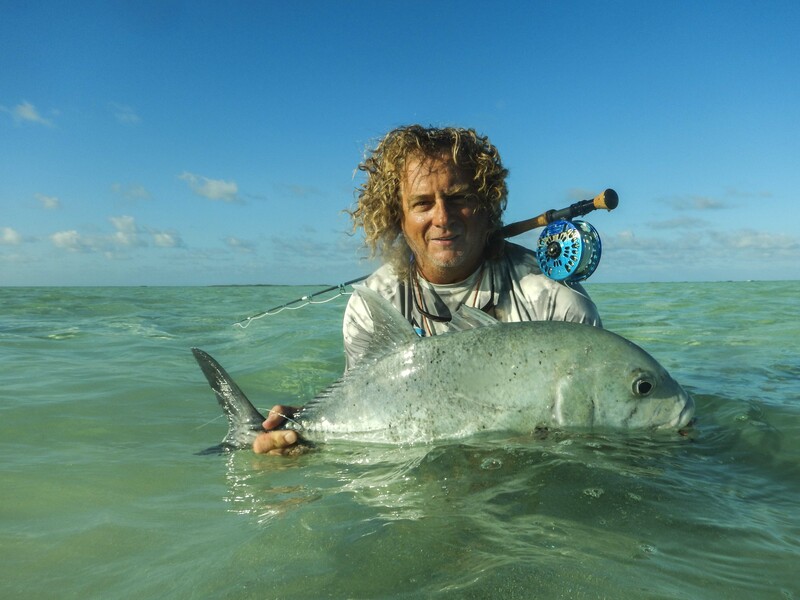 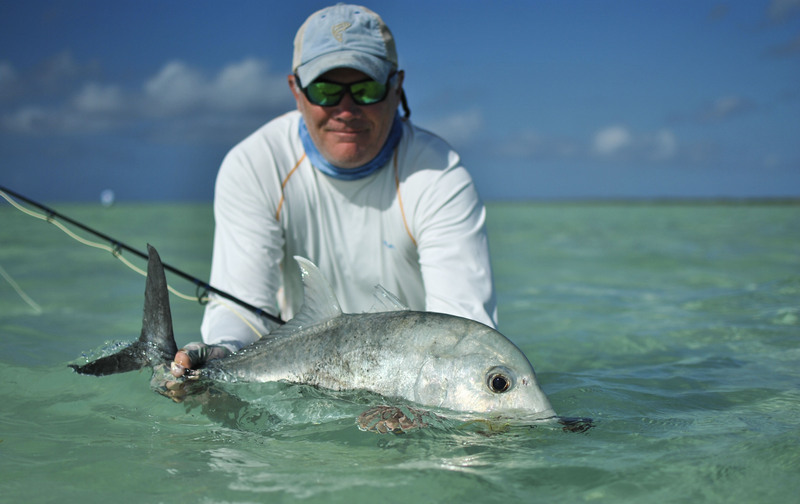 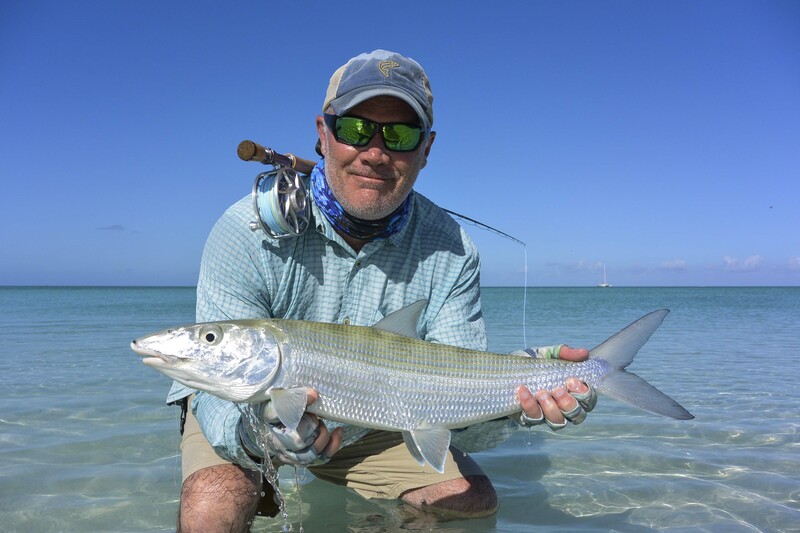 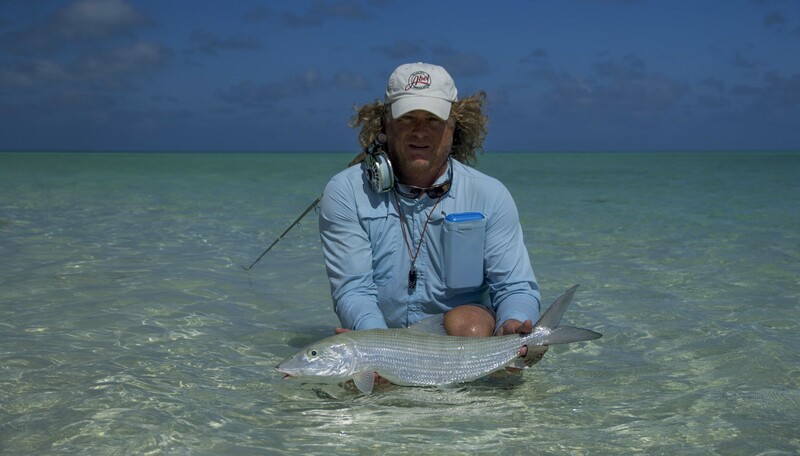 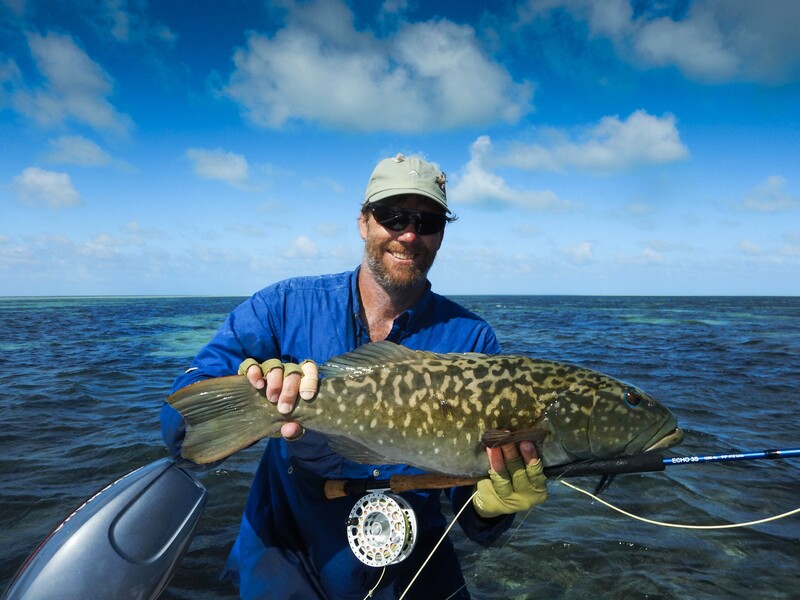 The second week of the season saw the return of some familiar South African faces to the shores of Cosmoledo Atoll. 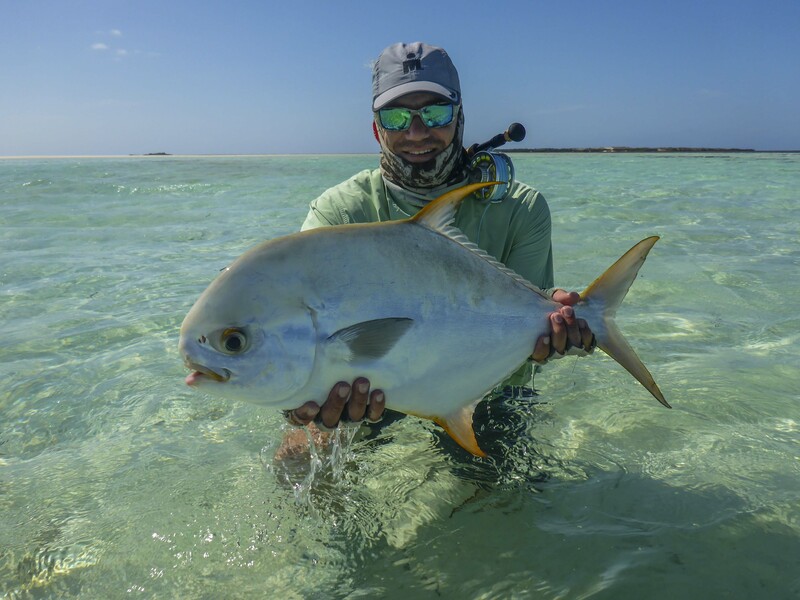 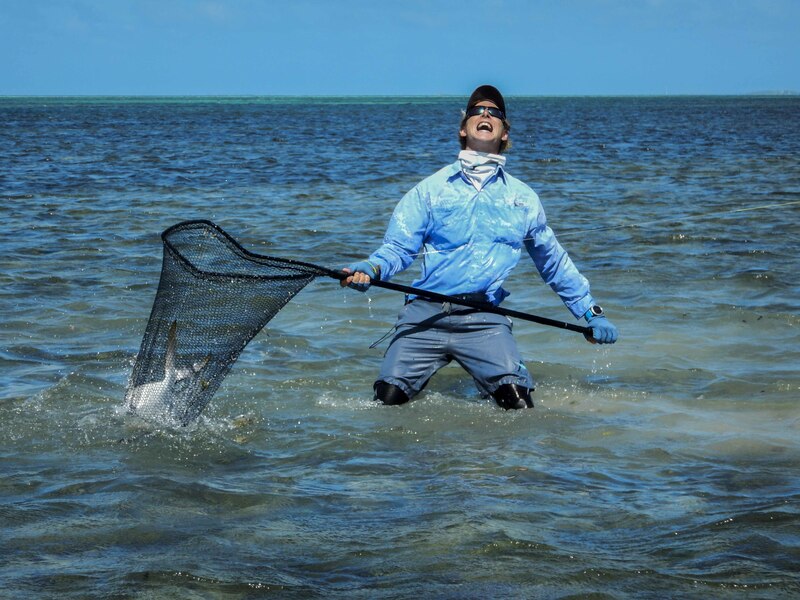 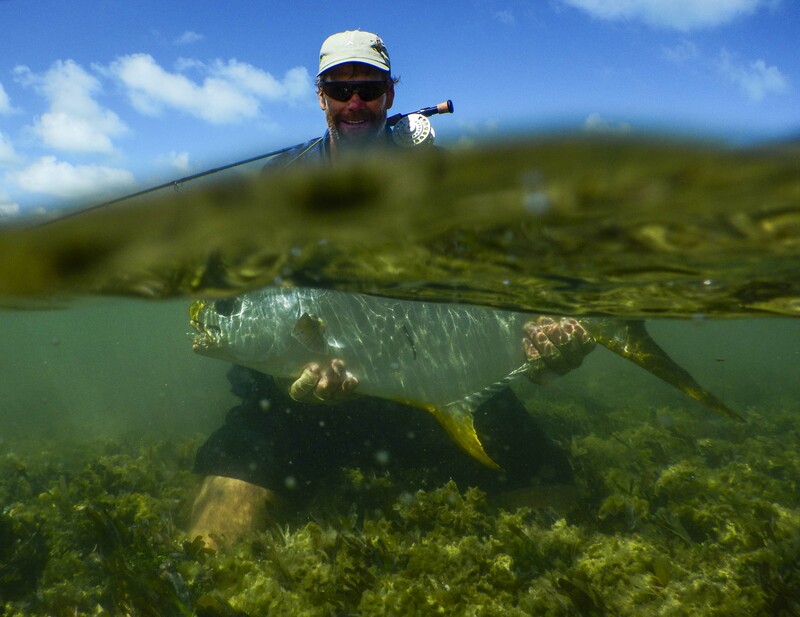 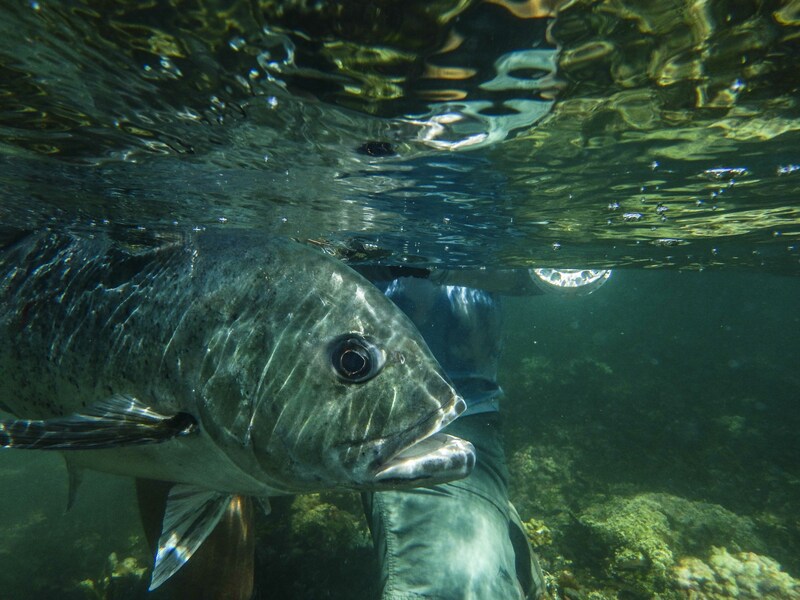 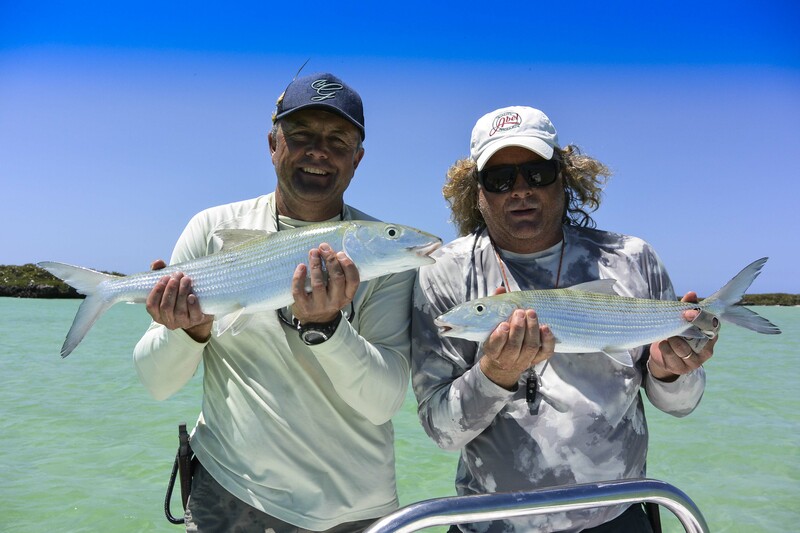 Although not ideal for GT’s the neap tides made it possible to target all the other wonderful species that make Cosmoledo such a special diverse fishery. 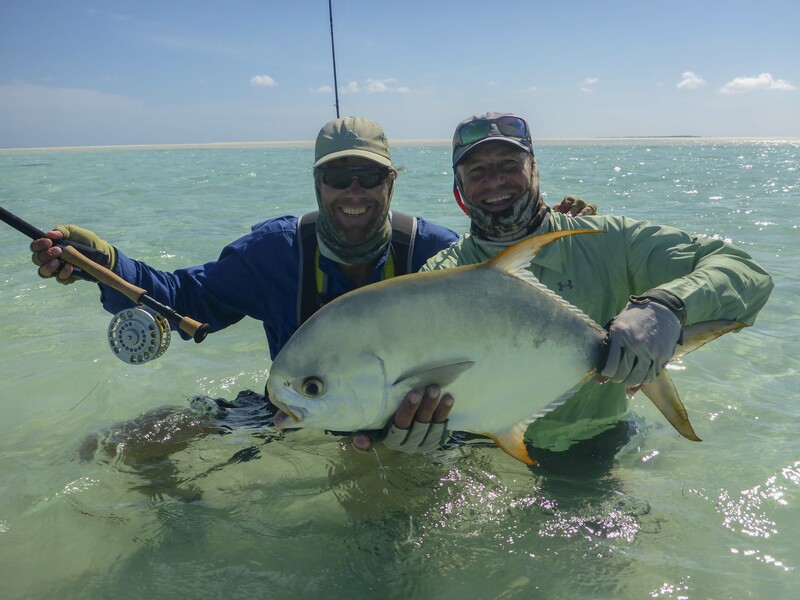 The Neill brothers lead the charge with Gary starting off with his first ever Indo-Pacific permit, Bruce landing a great yellowfin tuna offshore and Paul having the trip of his life by landing the most GT’s as well as his first ever moustache triggerfish and a monster permit. 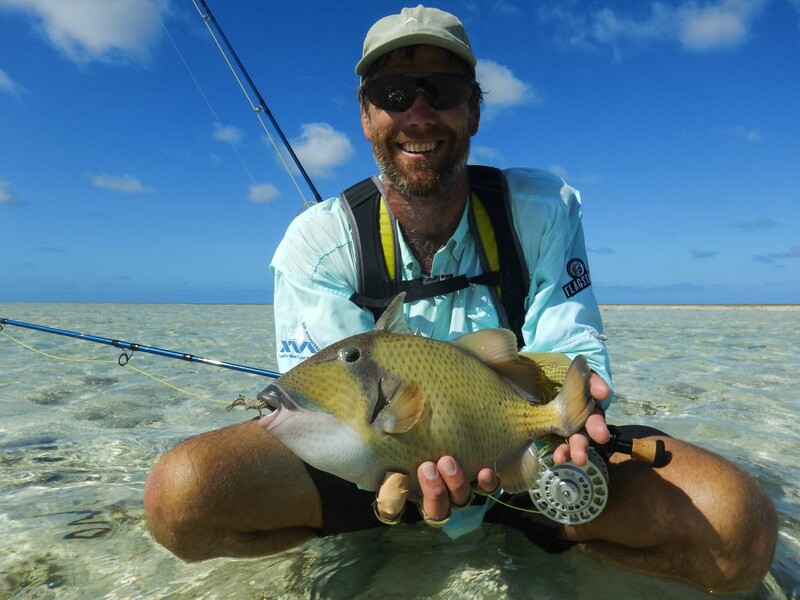 Michael B. and Ray C. added to their variety with a moustache triggerfish each. 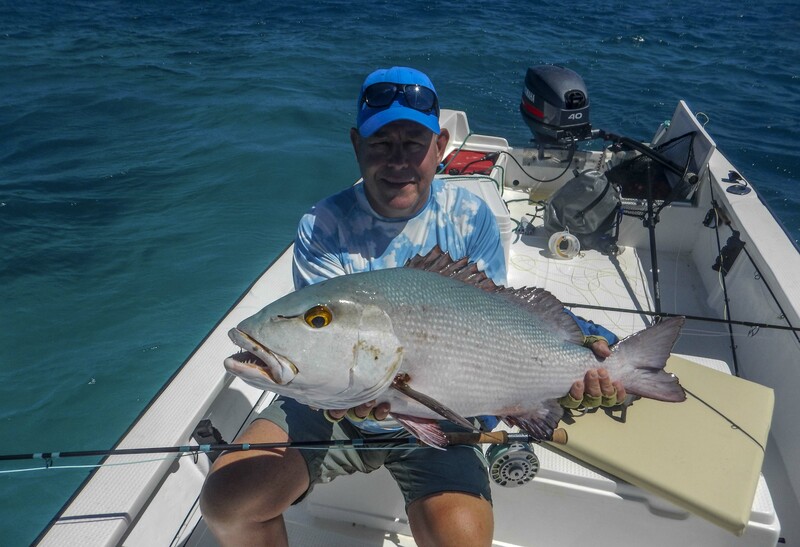 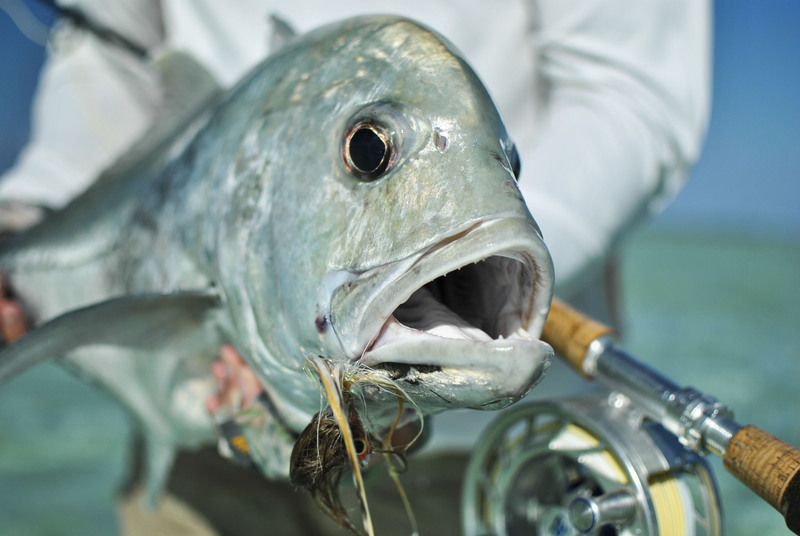 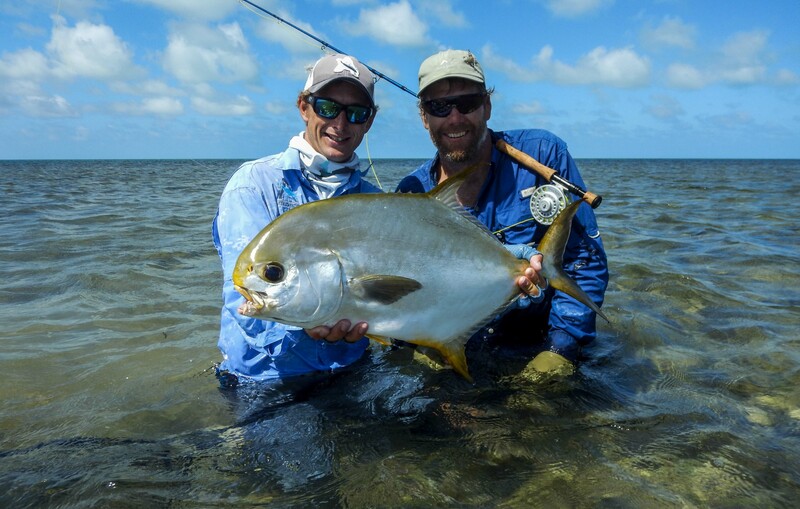 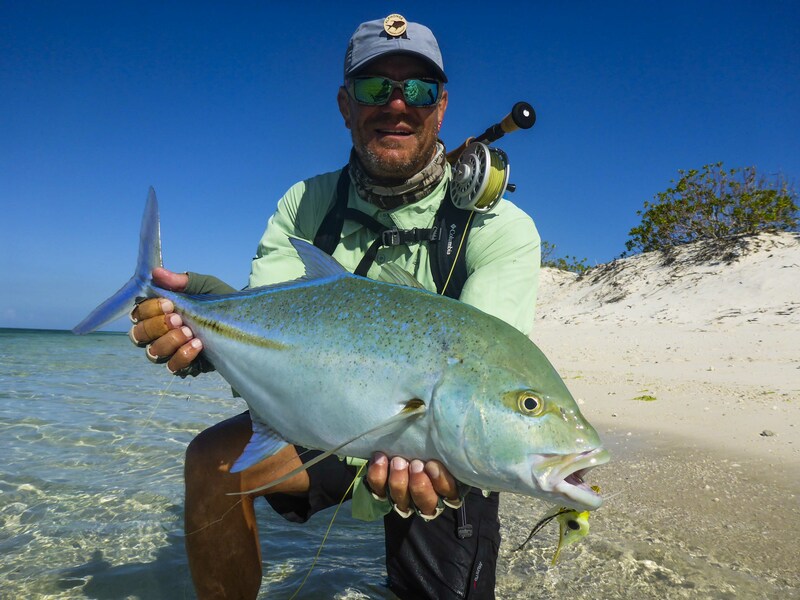 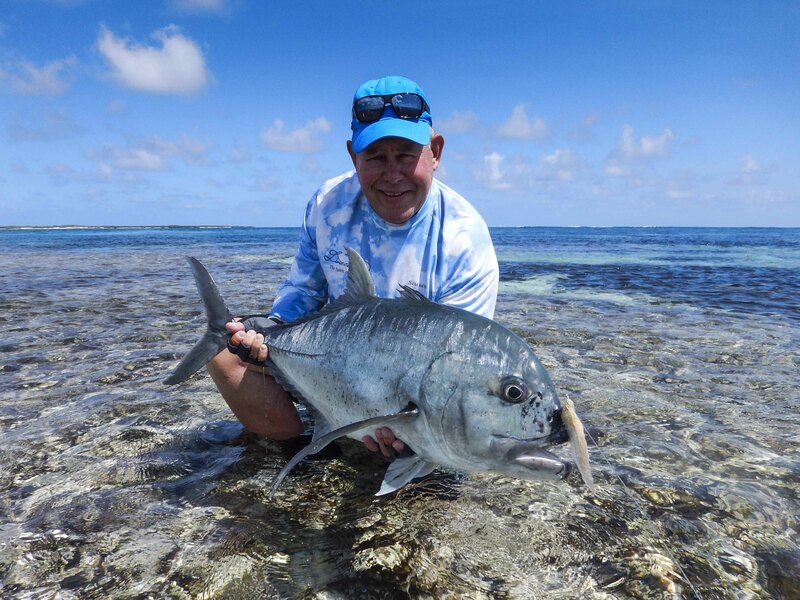 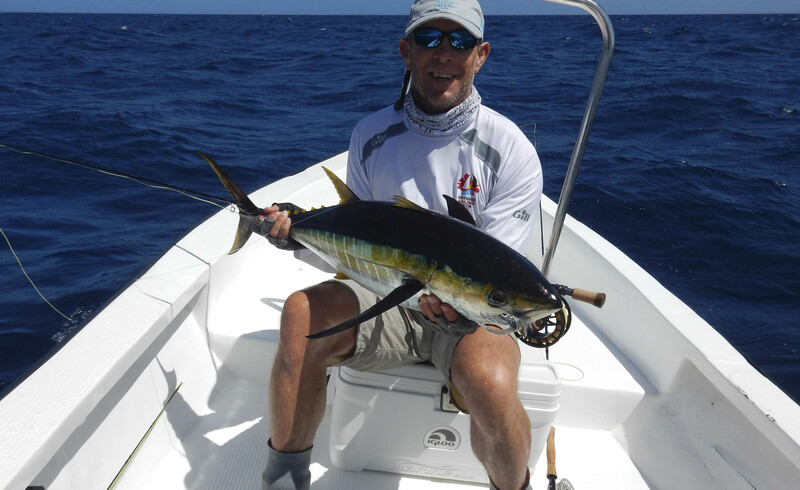 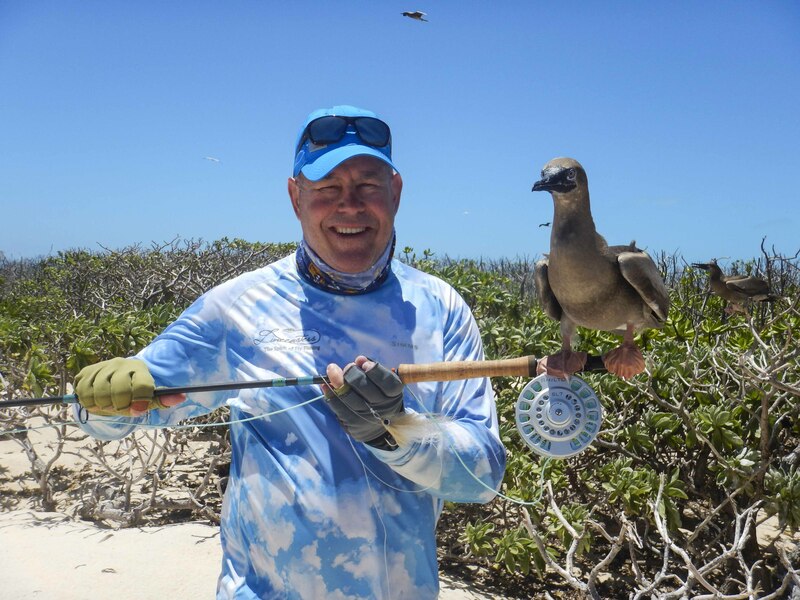 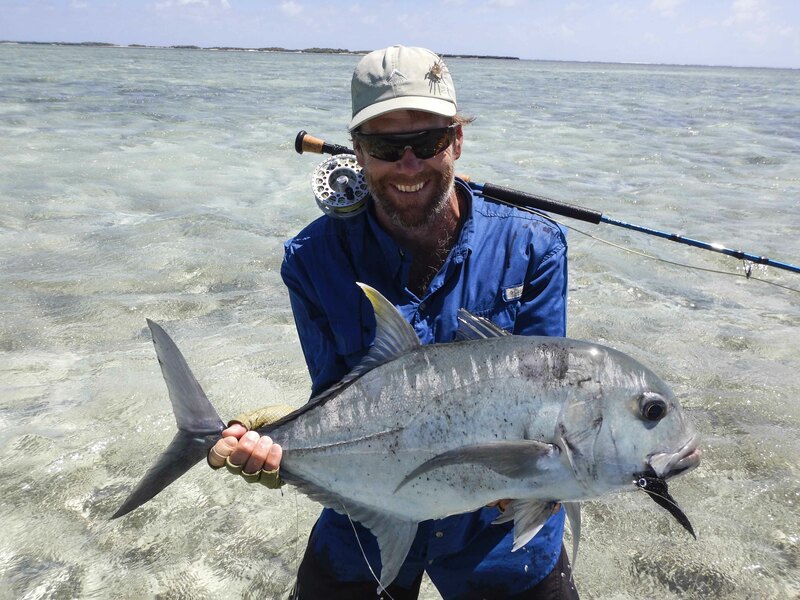 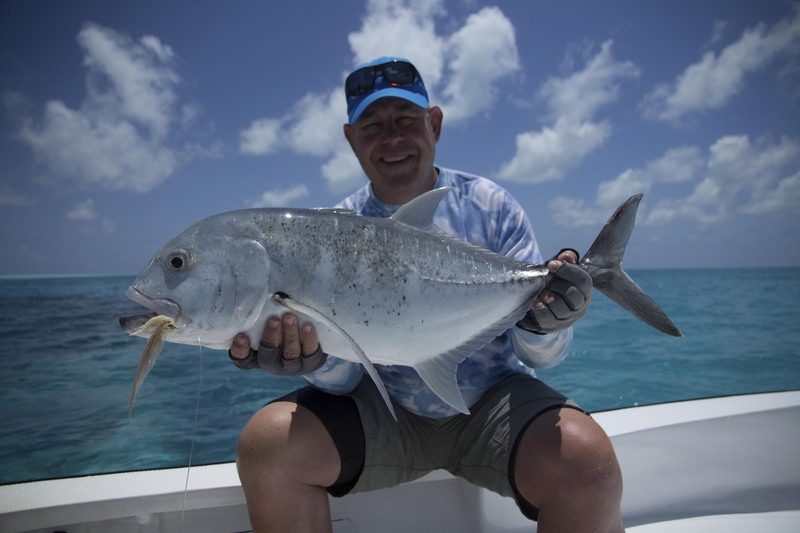 The GT’s were around in good numbers with stories of big GT’s being enticed and almost caught with 44 GT’s, two Indo-Pacific permit and three triggers being landed between the eight anglers. 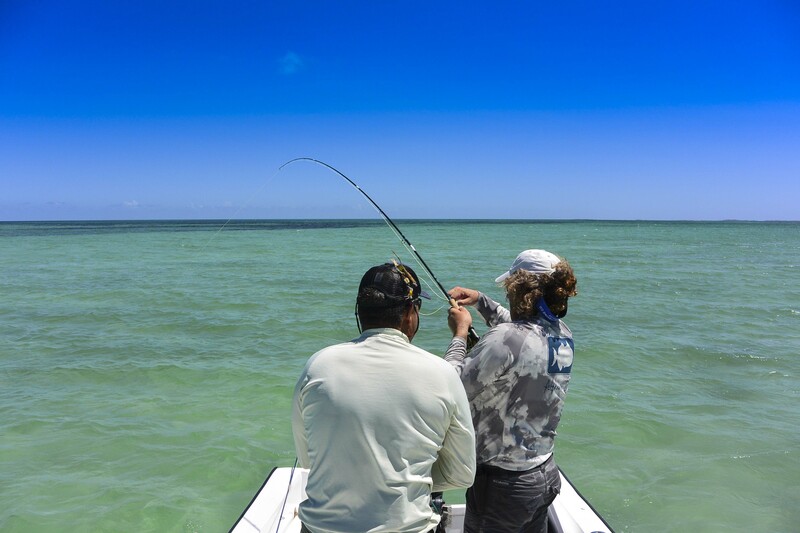 All the guests spent some time experiencing the world class bone fishing that Cosmo has to offer. 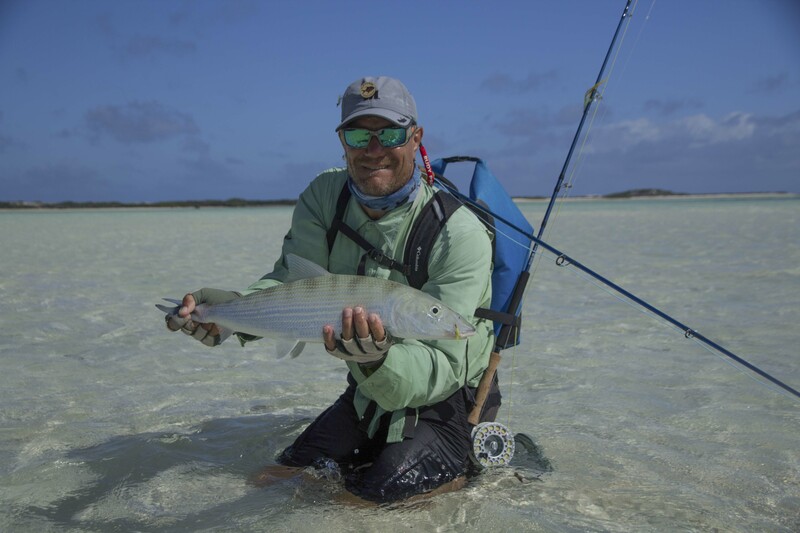 More importantly, the Lonestar had to be back to Astove while the guys were fishing Cosmo for a quick Seybrew restock after the new consumption record was exceeded. 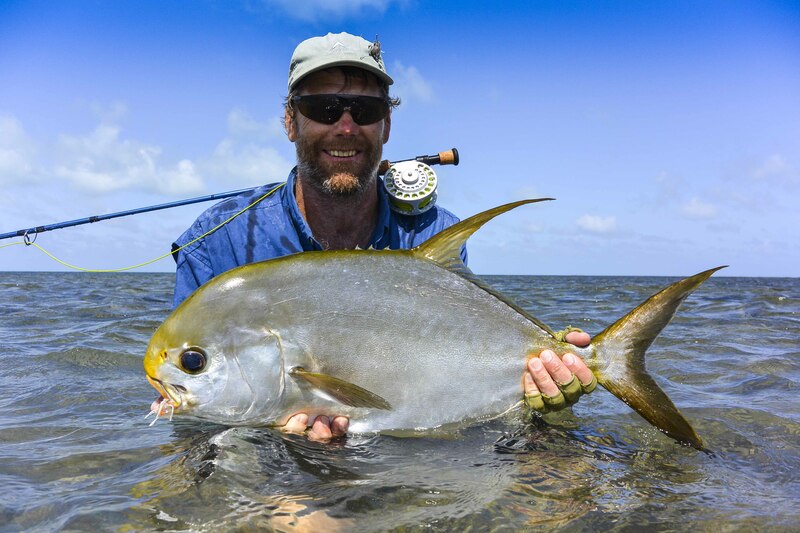 At the end of the week, many different fish species had been landed and some great angling stories had been shared. 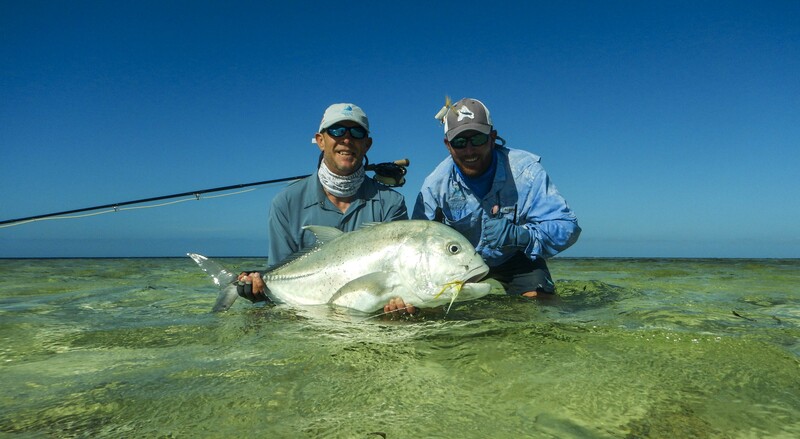 All in all a great time was had by all and we can’t wait to get the group back again next season to settle some scores with a few monster GTs. 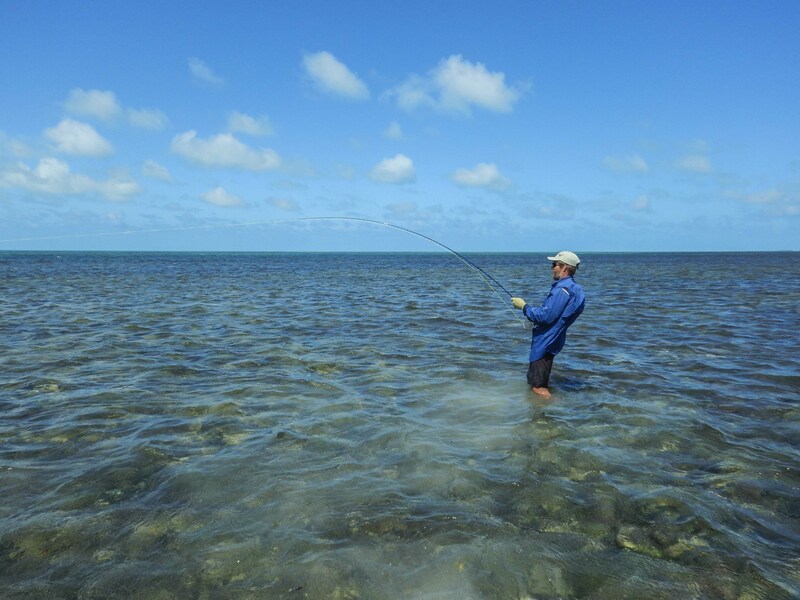 See more info about the beauty of Cosmoledo and it’s surrounding waters. 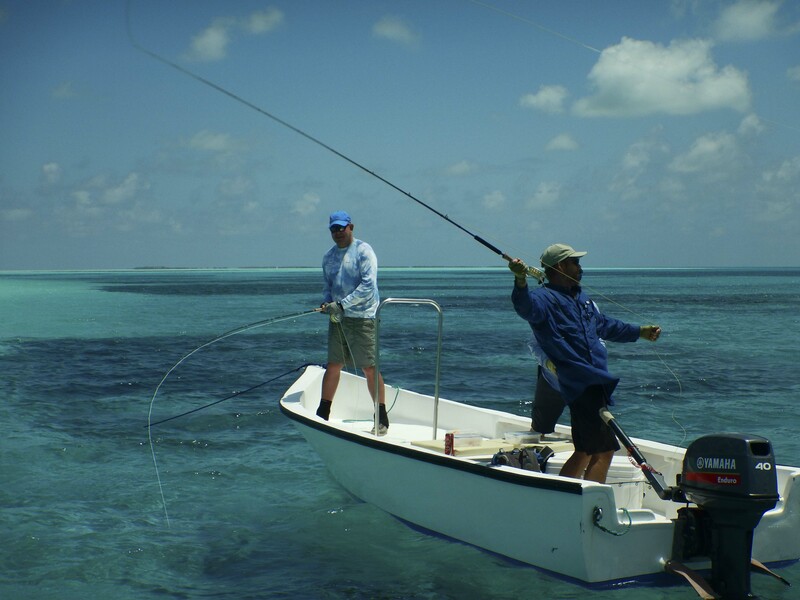 In case you have missed out on the ‘Cosmo’ video, here you can watch it. 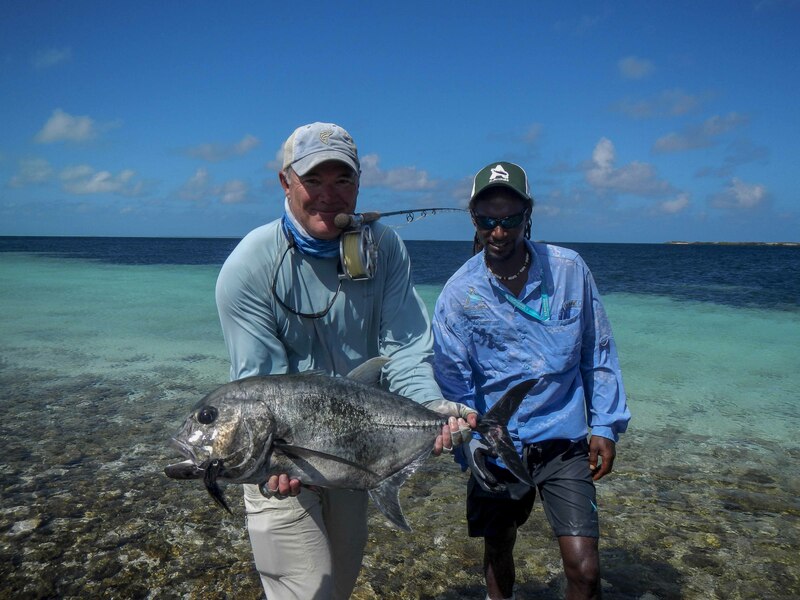 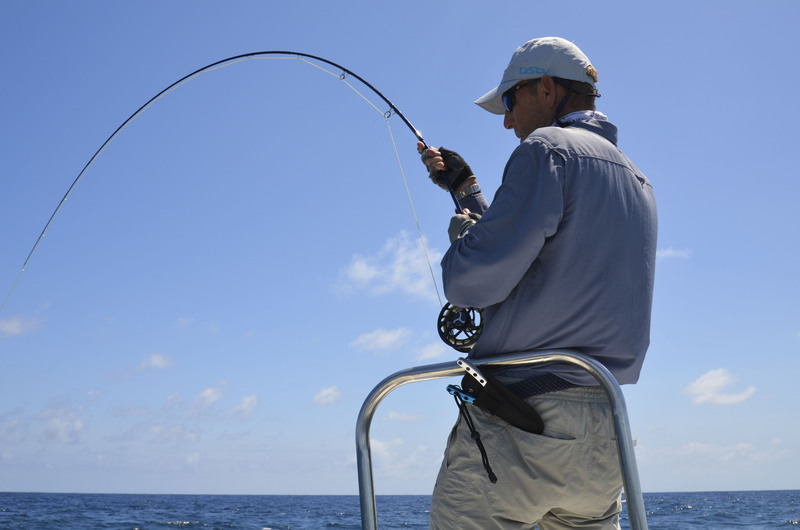 More images of last week’s fishing in the below.